The richest candidate is from Telangana's Chevelle constituency, Konda Vishweshwar Reddy with the assets worth more than Rs 895 crores and the poorest candidate Nalla Prem Kumar contesting from the same constituency has a declared asset of Rs 500. With the first phase of polling session starting on Aprill 11 for the 17th Lok Sabha across the country, the richest and the poorest candidate for this season is from the same constituency contesting against each other. The phase 1 of the general elections will be over the 91 seats for which the voters will have to choose from 1,266 candidates. The Association for Democratic Reform (ADR), a non-governmental organisation (NGO) has released a report after analysing their educational, financial and criminal backgrounds from the affidavits produced to the Election Commission (EC), which helped in identifying the candidates. 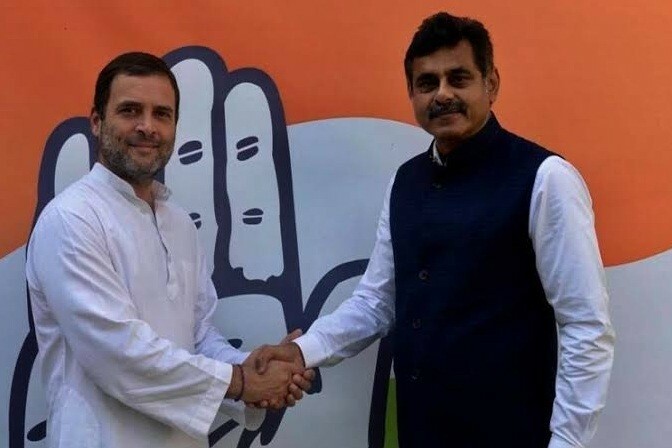 The richest candidate of the country is from Telangana's Chevelle constituency represented by the business tycoon and Congress candidate Konda Vishweshwar Reddy (KVR) with the total assets worth more than Rs 895 crores. The poorest candidate Nalla Prem Kumar contesting on Prem Janata Dal ticket is also from the same constituency with a declared asset of Rs 500. 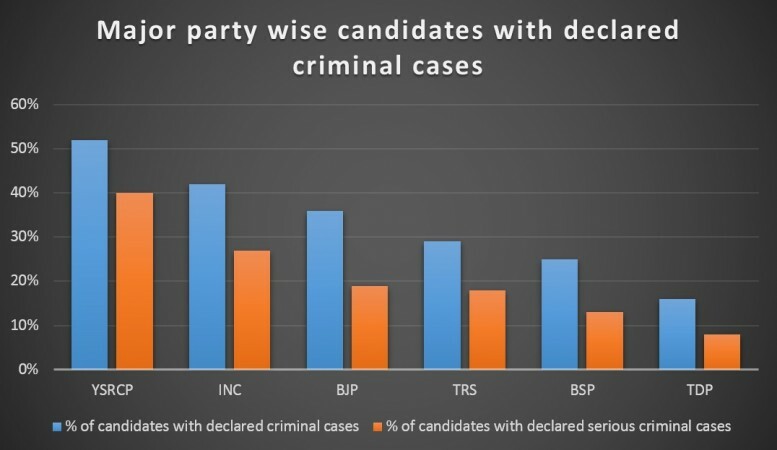 According to the reports, Out of 1266 candidates for phase 1 elections, 213 are charged with criminal cases ranging from assault to murder. 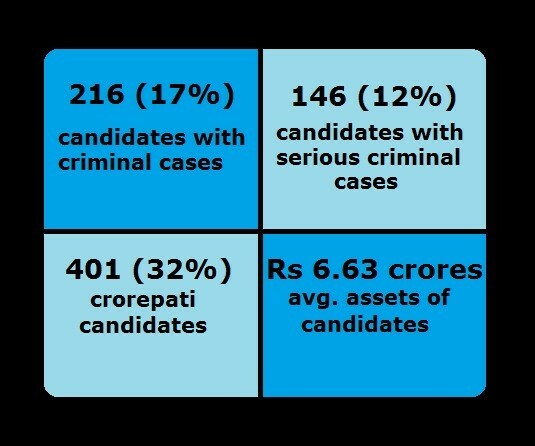 177 candidates have declared wealth of Rs 5 crores and above and 416 candidates have a declared income below Rs 10 lakhs. The top three richest candidates are from Andhra Pradesh and Telangana with KVR at the top followed by Prasad Veera Potluri representing Vijayawada of Andhra Pradesh with declared assets worth more than Rs 347 crores and Kanmuru Raghu Rama Krishna Raju representing Narsapuram constituency of Andhra with declared assets worth more than Rs 325 crores. After Prem Kumar, CPI (ML) candidate from Odisha's Koratpur constituency has declared lower assets worth Rs 565 followed by Alakunta Rajanna from Telangana's Nizamabad constituency with declared assets worth Rs 1000. There are 23 candidates who have declared zero or no assets in their affidavits. According to the ADR report, Congress has fielded most billionaires in the first phase of Lok Sabha polls followed by the Bharatiya Janata Party (BJP). In the total candidates, 690 have not declared their income tax returns and 70 of the richest candidates have also not declared their tax returns.